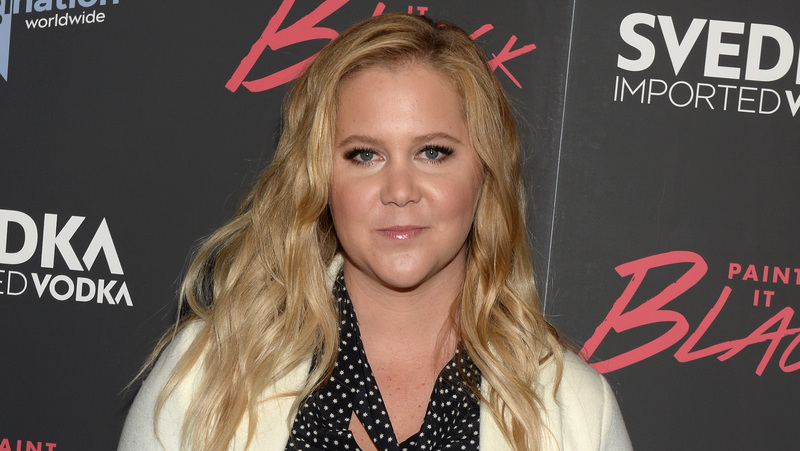 She hasn’t lost her sense of humor (or her holiday spirit), but Amy Schumer’s rough pregnancy has continued well into her second trimester — and it didn’t take the day off for Christmas. In November, the star revealed she is coping with hyperemesis gravidarum, a rare pregnancy condition that causes extreme morning sickness, nausea and weight loss. If this diagnosis rings a bell, it’s probably because another international celebrity dealt with the condition during all three of her pregnancies: the Duchess of Cambridge, commonly known as Kate Middleton. Unsurprisingly, the Kensington Palace Instagram account didn’t share the less-than-glamorous photos and videos of Kate’s pregnancies. But Schumer has taken a slightly different approach, sharing vids of herself vomiting by the side of the road and hooked up to an IV. Christmas Day was no exception — Schumer posted a slideshow that began with a video of herself and husband Chris Fischer pulling over so Schumer could vomit on the side of the road. “Merry Christmas,” the couple deadpanned to the camera. Luckily, the day seemed to improve from there. Subsequent photos and videos in the slideshow depict Schumer relaxing with dogs. Sure, she didn’t seem to feel great — but pets improve any situation. And by the end of the day, she felt well enough to participate in a dance party to Missy Elliott’s “Work It” (dog in arms, naturally). Schumer captioned her post, “And so this is Christmas.” Fortunately, next holiday season, she’ll be celebrating with an adorable baby — but we can count on her to be totally candid about the difficulties that come along with being a new mother. Schumer does an awesome job of making other pregnant moms feel less alone, and we love that she’s opening up a dialogue about what it’s like to have a tough pregnancy. More honest takes like this, please.